Bluff Creek Trails, W. Hefner Rd & N. Meridian Ave.
Held at Bluff Creek in Oklahoma City, OK. Whether you want to pound the pavement or do it in the dirt, this event is for you. 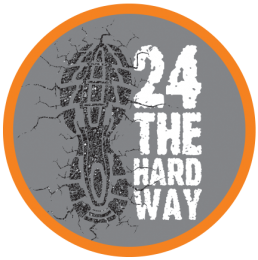 Athletes will have their choice of a 24, 12 or 6-hour race on either a relatively flat asphalt trail or on a slightly technical trail equipped with dirt, rocks, roots, tree branches and depending on the weather, maybe a little mud. Both trails will be measured and that distance will be multiplied by the total number of laps a runner completes to give total mileage.